During WW1 the Germans were very efficient and marked up much of their equipment at various stages of the process from manufacture to issue and repair. This included helmets (to a lesser extent) and caps & pickelhaubes (to a greater extent). We now offer replica stamps used on headwear for you to use on your reproduction headwear. 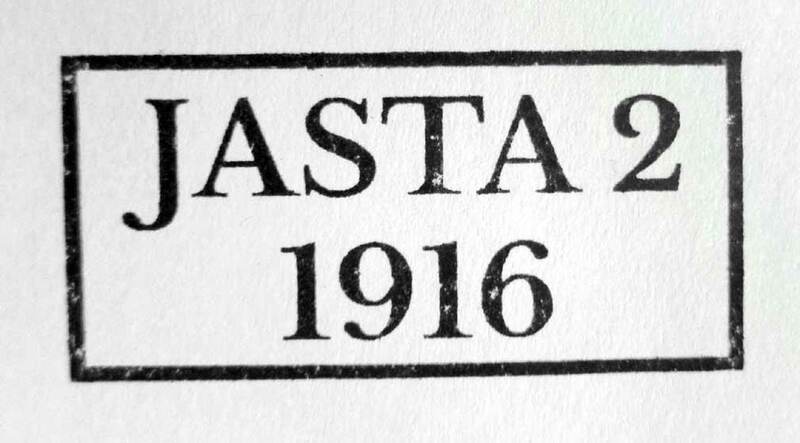 All of these stamps have been researched and authenticated and are accurate in both font and size. Perfect item for Reenactors, living history, equipment research, history talks etc. 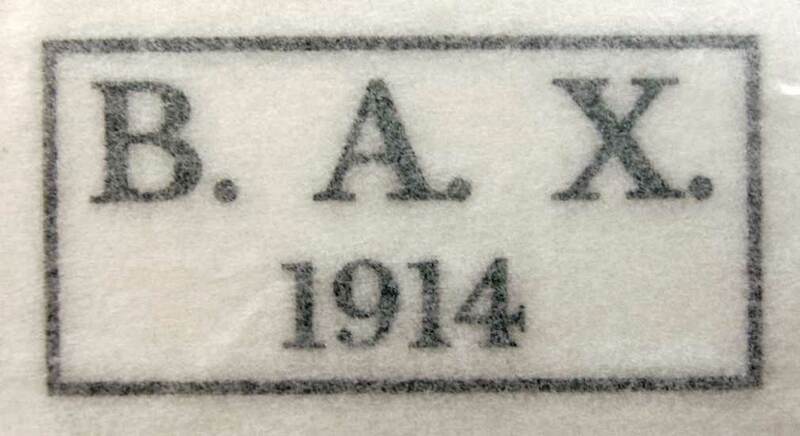 Caps & some Pickelhaubes were marked by black ink issue stamps (Kammerstempel) to the lining, with all or a combination of the following: manufacturer; clothing store (B.A. stamp); size and quite possibly an owners name, although it is common for these markings to be part or fully obscured by hard use, moisture etc. The B.A. 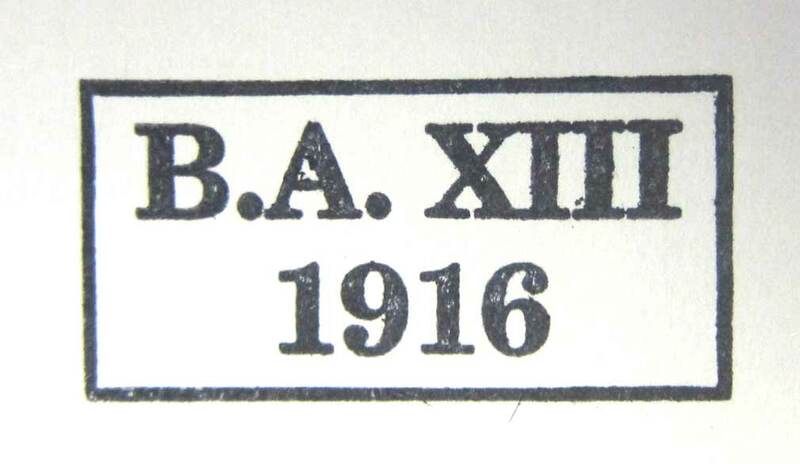 stamp usually followed by a Roman number (indicating Army Korps) indicates the "Bekliedungsamt" literally "clothing department", other marks identified to caps and pickelhaubes are "J" and "I" stamps, meaning the item has been repaired and then re-issued, again it is common to see old marks struck out and new ones re-stamped. Our stamps come with a sticky surface - just cut a block of wood or solid material to size and stick the stamp to it. We do recommend using contact adhesive on the sticky surface to give a more permanent finish if you are using it frequently. 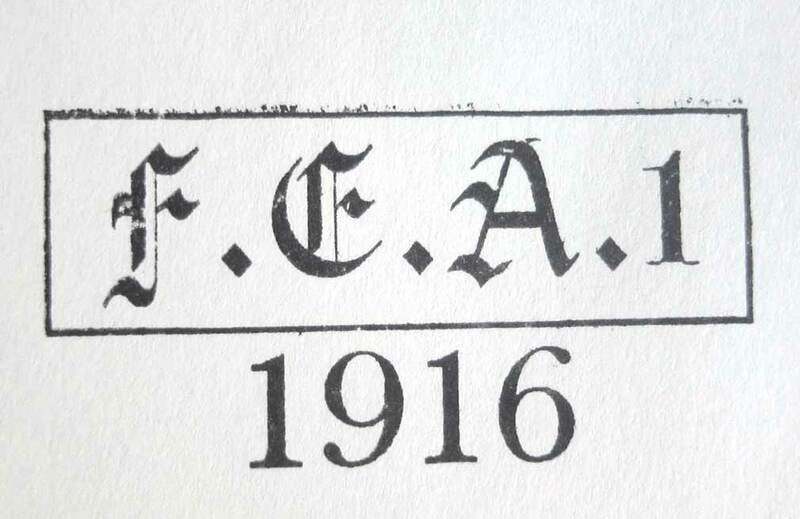 Full instructions for using your WWI Unit Marking Stamp can be found here under " German Cap Manufacturers Hat & Box Stamp Instructions:" - a different stamp but the same principle! We can make up most unit markings, just email us and ask. Ideally attach a picture and information on the unit. We will only make up stamps where we know they have been used on headwear.